Batting stars: Leo Cardenas was 2-for-3. Tony Oliva was 2-for-4. 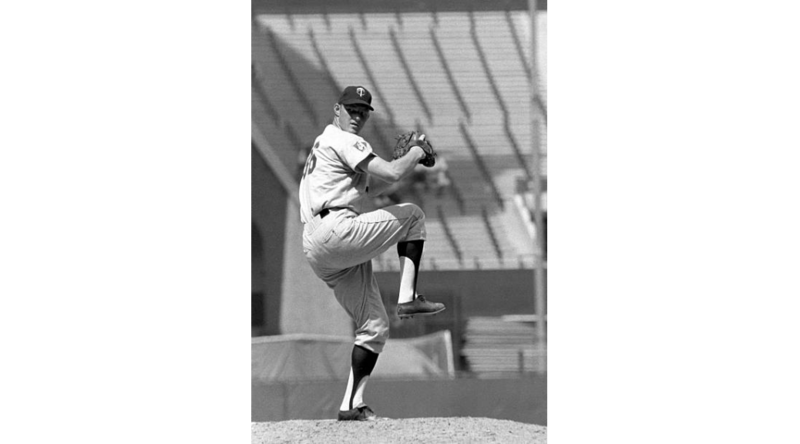 Pitching stars: Jim Kaat pitched a complete game, giving up an unearned run on five hits and two walks and striking out four. Opposition stars: Bobby Murcer was 2-for-4. Bill Burbach pitched seven innings, giving up two runs on five hits and a walk and striking out four. The game: The Twins started the scoring in the second on singles by Harmon Killebrew, Graig Nettles, and Cardenas. They ran themselves out of a chance for a bigger inning when, with men on first and third and one out, Nettles was thrown out trying to steal home on the back end of a second-and-home double steal attempt. It went to 2-0 in the third when Rod Carew walked, stole second, and scored on Oliva's single. It stayed 2-0 for a while, as neither team was getting much else going offensively. Tom Tresh led off the sixth with a double but did not advance. The Yankees got on the board in the seventh when, with a man on first and two out, Carew made a two-base error on a pop fly to short right field, scoring Billy Cowan. Neither team threatened after that, and the game ended 2-1. WP: Kaat (4-2). LP: Burbach (2-4). S: None. Notes: Cesar Tovar was again at third base, with Nettles in left field. In the eighth, Frank Quilici came in to play third, with Tovar moving to left. Carew was 0-for-3 with a walk, dropping his average to .384. Oliva went up to .306. Kaat's ERA fell to 2.50. The Twins went 1-for-4 in stolen bases. In addition to Nettles, Oliva was caught stealing twice, in the third and the sixth. Despite the win, the Twins' run-scoring slump continued. They had scored just thirteen runs in their last eight games. This time, they did not have the excuse of facing a top-notch pitcher (more on that below). As I've been going through these games, it strikes me that one reason pitchers threw more innings and more complete games back then is that balls were simply put in play more frequently. Yes, there were some pitchers with high strikeout totals, but a lot of successful pitchers did not strike out that many batters. Kaat pitched a complete game here, but struck out just four and walked only two. For the season, in 242.1 innings, he struck out just 139 and walked 75 (including 15 intentional walks). I am making no judgment about what is better or worse, just observing that you're going to be able to face more batters if you don't throw as many pitches per at-bat. And if you can get those batters to make outs, well, you're probably going to throw more innings and get more complete games. I have absolutely no memory of Bill Burbach. As it turns out, he's an ex-Twin that I missed, although he did not play in the majors for Minnesota. 1969 was his rookie season. He was in the rotation pretty much all year and did fairly well, going 6-8, 3.65. He pitched 140.2 innings and gave up just 112 hits, but he walked 102 batters, leading to a WHIP of 1.52. He was just twenty-one years old in this season, though, and one can imagine people saying, "If he can just learn to throw strikes, he'll be a great pitcher." It didn't happen for him, though. He made four starts for the Yankees in 1970, posting a 10.26 ERA, and spent the rest of the year in AAA Syracuse. 1971 was similar--two appearances in the majors early in the season, the rest of the year in AAA. It wasn't AAA Syracuse, though--the Yankees traded him to Baltimore for Jim Hardin in late May. The Orioles traded him to Detroit before the 1972 season, but somehow he ended up making thirty-three appearances for Tacoma in the Twins' organization that season. He wasn't very good, posting an ERA of 4.50 and a WHIP of 1.75. He improved some at throwing strikes as his career, although no one would ever have called him a control pitcher. As his walk rate went down, however, his hits allowed rate went up. One wonders if he might have thrown a magical zoomball, and if in the process of trying to control it, it became hittable. At any rate, he was out of baseball after the 1972 season at age twenty-five. His career major league numbers are 6-11, 4.48, 1.60 WHIP in 160.2 innings. Record: The Twins were 21-16, tied for first with Oakland in the American League West.